You know it's summer when the nine-month apple display at your local grocery features peaches and nectarines instead. These warm weather fruits, along with plums, cherries and apricots, are referred to as stone fruits because of their large, hard pits. They all grow on deciduous fruit trees, and although all are closely related, each stone fruit has a distinct taste and texture. Apricots are sweet and juicy, with firm skin and flesh. Due to their delicate nature, you want to be careful when buying apricots. Look for fruits with smooth skin that's pink to orange and has a sweet scent. When ripe, apricots make a delicious treat on their own. Even the less than perfect varieties are delicious grilled or roasted in the oven with a little butter and brown sugar. While there are more than 1,000 varieties of cherries, they're generally categorized as sweet or sour. Sweet cherries, such as Bing or Rainier, are eaten fresh. Sour cherries, such as Montmorency, are also consumed fresh by those who prefer a more sour taste, or are used to make sweet treats such as cherry pie. Nectarines are a type of peach without the fuzz, and occasionally you will find a nectarine on a peach tree or a peach on a nectarine tree. The flesh and fruit of the nectarine vary in color, ranging from pale yellow to bright red. Nectarines are juicy and sweet, but are a little more delicate than the peach. The sweet fruit is delicious fresh, or enjoyed sliced with cream to mellow out the sweet, tart flavor. The fuzzy-fleshed fruit is available in two varieties: clingstone, in which the fruit is attached to the pit, or freestone, in which the fruit is separate from the pit. 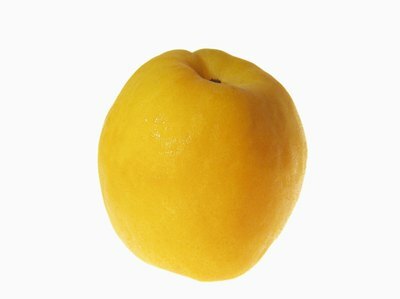 Both clingstone and freestone peaches have either yellow or white flesh. Fresh peaches make delicious Bellinis and peach melbas. You may be most familiar with the dark purple varieties, but plums come in a variety of colors, including yellow, green and even pink. But one thing all plums have in common is their tart, firm skin and soft, juicy flesh. Like the other stone fruit, plums may be best enjoyed fresh. But you can also cook them, puree them and use as a healthy ice cream topping or turn them into jam.